Lighting — Good lighting design doesn’t just illuminate your commercial space and add accents to the overall design concept. It also increases safety by improving visibility and minimizing areas where criminals may be hiding. Hopefully you work in a safe place, but theres nothing wrong with a little extra peace of mind. Clear Pathways — The routes employees traffic often should be easy to navigate and appealing. Overgrown shrubbery, cracked pavement, and impediments to clear travel are a nuisance that can, over time, feel psychologically detrimental to workers. The same logic applies after a large snowfall. Make sure your office maintenance crew or landscaping service is available to clear the paths so employees can make it to work on time and without incident. Scraping away any patches of ice is doubly important. Lost productivity can have a . . . snowball effect. Keeping the Drains Clear — Nothing ruins a day faster than a stepping in a large puddle on the way into the office, drenching your clothes or ruining a pair of shoes. The drainage patterns around an office space should allow water to flow cleanly so employees don’t have to navigate the torrents. Maintaining clear drains and planting landscape that maximizes rainfall will guard against rogue puddles. 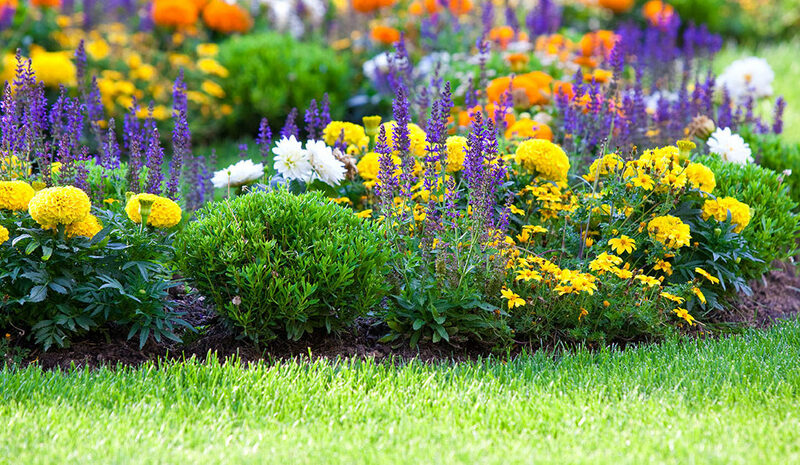 Think Like an Employee — How do you want the landscaping around your home to appear? Apply that same logic to your commercial space. Employees want to approach a workplace thats warm and inviting. Dirty pathways, overgrown or dying shrubs, and lack of care don’t engender loyalty. Fresh flowers, sparkling roads, and welcoming open space, however, make an employee feel like you care. How would you describe the landscaping around your commercial property? Does it communicate positive or negative feelings. Contact us today to learn how we can help.